Check out these fun Toy Story 20th Anniversary mini-figure gift sets from Andy's Room (Toy Story), Al's Toy Barn (Toy Story 2) and Sunnyside Daycare (Toy Story 3). Each of these sets contains 7 figures which stand (on average) 2 inches tall each. If you've been collecting Toy Story figures for some time now, you'll certainly notice that these figures have been available previously, but they re-packaged for the 20th anniversary in these fantastic, themed boxes (some figures have slight variants from prior releases as well). The Zurg and Zurg's Robot make the Al's Toy Barn set worth it alone — be sure to watch our review video below to view the rolling feet and movement in the Zurg bot and many other figures. 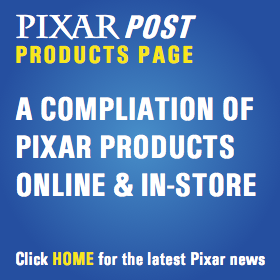 After you watch the video be sure to subscribe to our YouTube channel for even more Pixar-themed videos and pick up these great sets on Amazon using the links below.